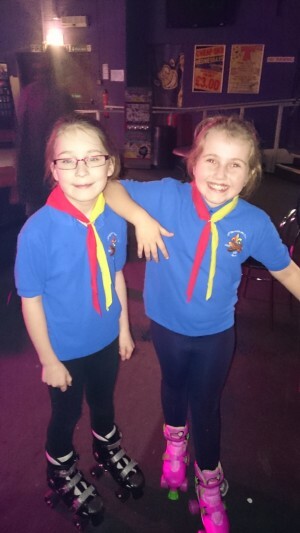 The Cubs from the 11th Norwich have been busy all term working on Activity and Challenge badges so their leaders decided to take them roller skating recently as a reward. The Cubs photographed are Alex, Ellie, Jacob, Jessica, Maya, Sorin, Oliver and Oliver. Unfortunately Liam was unable to attend and was missed by the others. Sophie, the Pack’s Young Leader and three parent helpers joined Cub Leader Colin Steward and a fantastic time was had by all. For more pictures from the trip, take a look at the gallery!